Flight Training where the trainee pilot utilizes aircraft operating systems, the technical and the Human Factor skills are combined. trainee pilot must coordinate all activities with other flight deck crew members until the entire crew performs as one trained team. CRM principles are emphasized all the time to ensure safety measures during flight. Instructor, computer and machine present the trainee with FULL realistic flight situations in an atmosphere, which acts, sounds and feels like the real aircraft cockpit. 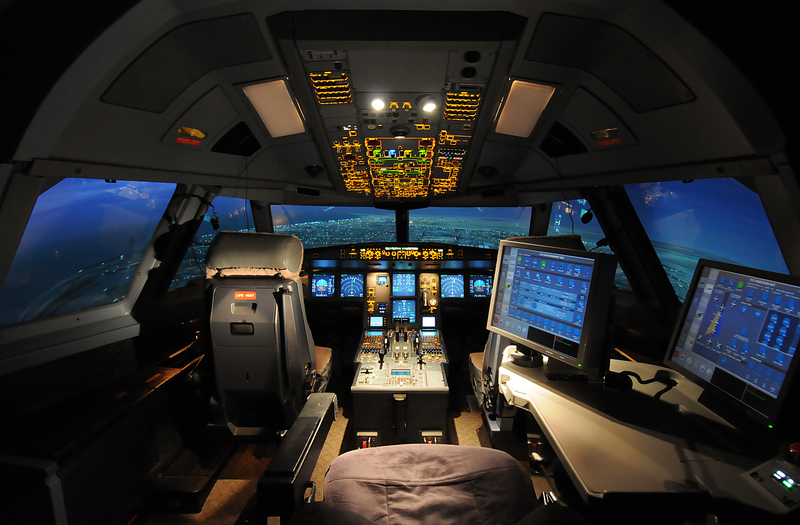 Such simulated training savings flying resources and provides better utilization of aircraft for revenue flights.